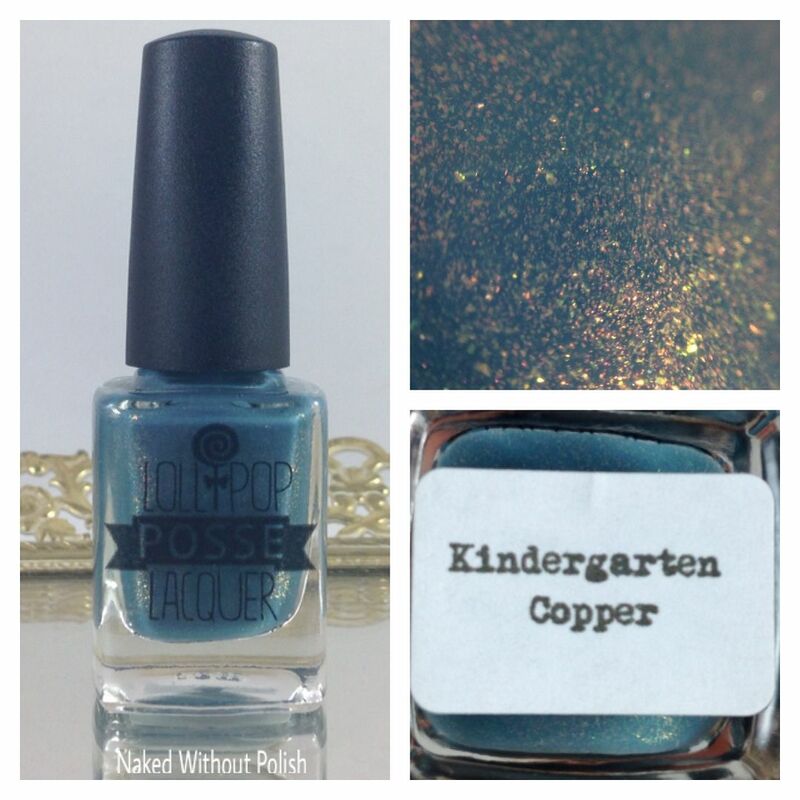 Kindergarten Copper is a dusty, slate blue cream with bronze shimmer. Shown is three coats of Kindergarten Copper. Unfortunately, Kindergarten Copper is no longer available. 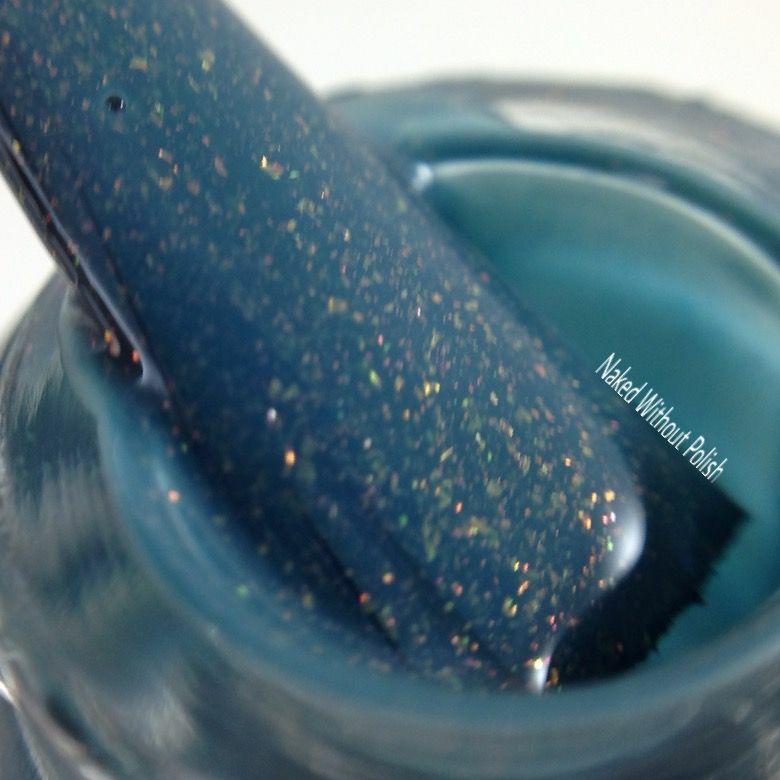 Holy cow, this polish gorgeous though. 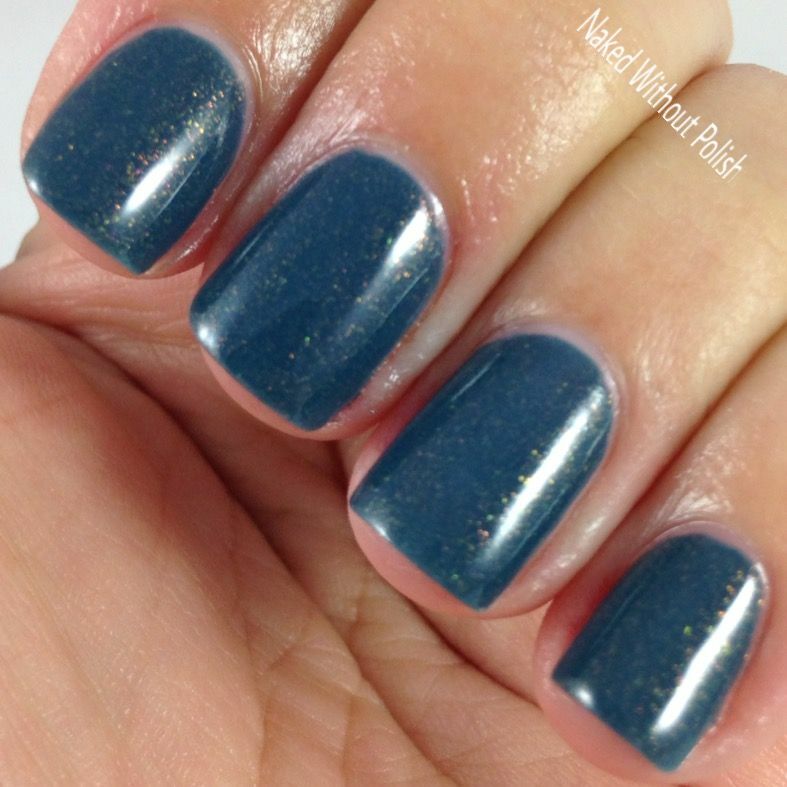 I love a dusty polish and this is just perfection. I'm so ready for her next collection. I can't wait to see what she has in store for us for the holidays. 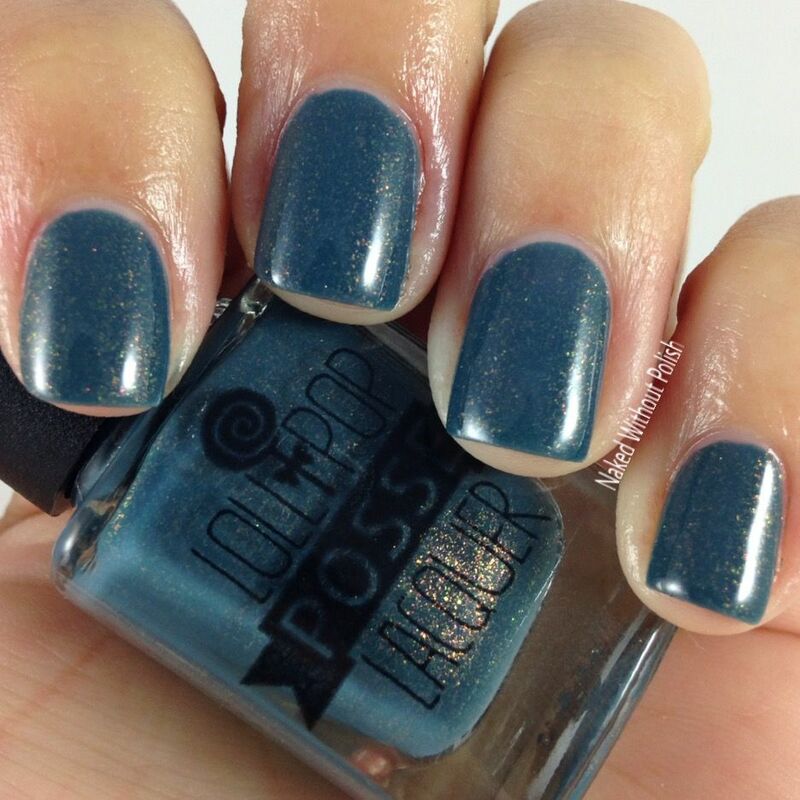 Have you bought from Lollipop Posse Lacquer yet? If you haven't, you need to try her stuff. They are lovely! She has some product left in her store too. Don't miss out on anything. There is a good chance some things will be gone for good when they are gone so get anything while you can! I can't wait to wear this again. Were you lucky enough to get Kindergarten Copper?